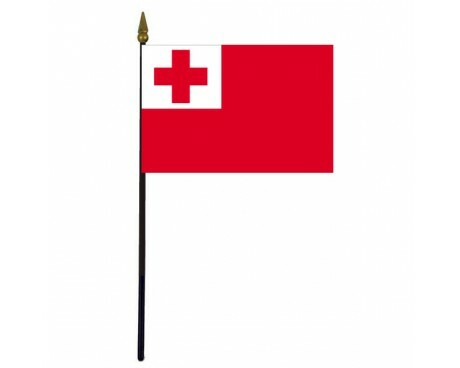 Tonga Stick Flag - 4x6"
The current Tonga flag is one of the oldest flags in the Pacific. A large part of the flag's continuity comes from the fact that Tonga never ceded its sovereignty to a European nation, but the design of the Tonga flag is also protected under the nation's constitution. 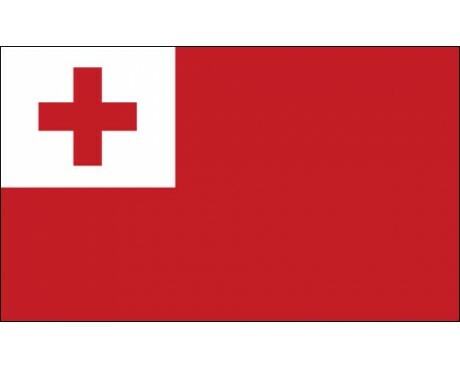 The Tongan constitution states that the current design shall always be the flag of Tonga, and forbids the government from making any changes to it. The nation of Tonga has honored that law for more than a century, and it is likely that it shall always do so. The flag of Tonga has a solid red field with a white rectangle in the canton. A red cross is placed in the center of the canton. The flag's colors and emblem were chosen to represent the Christian faith, which is practiced by the majority of the nation's citizens. The cross in the canton stands for Christianity, while the red field represents the blood of Christ and the white section represents purity. The nation of Tonga has several flags before it adopted the current design. The nation first began to use flags after Christian missionaries spread Christianity across the nation and exposed the nation to European culture. That led to the adoption of the first Tongan flag in 1858. The flag had a white field two blue crosses along the hoist and two red crosses along the fly with a blue "M" and a red "A" in the center. That flag only represented the country for a period of four years before it was replaced in 1862. 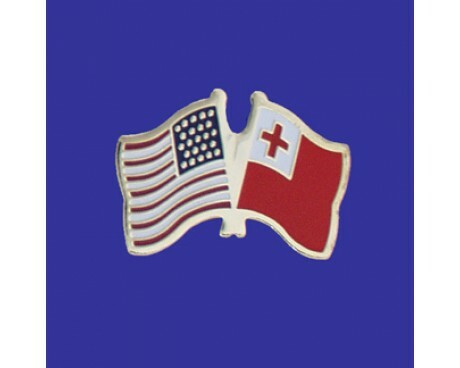 The new flag consisted of a single large, red cross in the center of a white field. 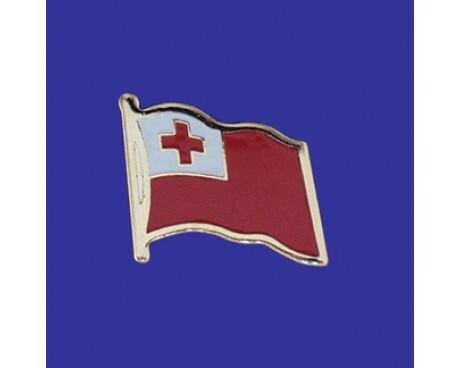 That flag is still occasionally used as a symbol of Tonga and its people in the modern era, but it was replaced in 1866 because it was too similar to the flag of the International Red Cross Movement. The current Tongan flag came into use at that time, but the design was not canonized as the eternal flag of the nation in the constitution until 1875.